CMA Fest is a traditionally busy time in Nashville with multiple performance stages set up all over downtown, a bevy of country music stars taking the stage at various locations at any one given time and an influx of thousands of country music fans from across the country for the four-day long event. 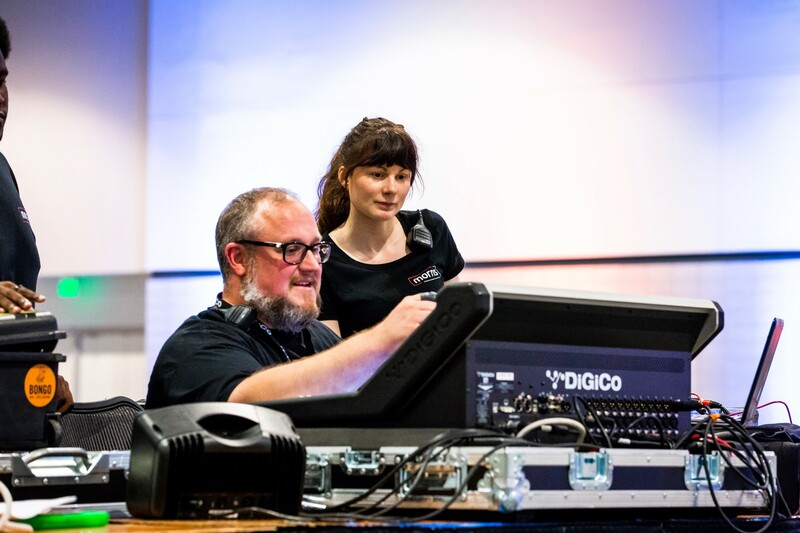 It takes a substantial crew of Audio Engineers, Lighting Crew and Stage Hands to pull it all off successfully. This year, as in years past, both current and former Belmont students played huge roles in the success of the event. Many visiting artists had Belmont alumni on their crew in various capacities, and many of the stages had current Belmont students as well as alumni on the crew. All photos provided by Collin Nixon.